We just got some photos taken of the a beautiful home we built for a family out in the Black Forest, on the north east side of Colorado Springs. 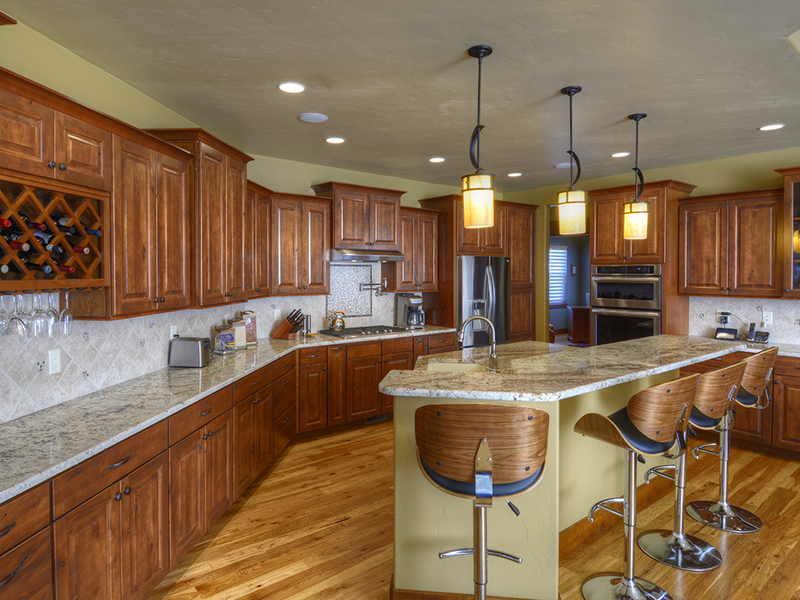 Check out the photo below of the kitchen below—we used a lot of custom cabinetry with beautiful natural wood. Check out the full gallery of this home here.